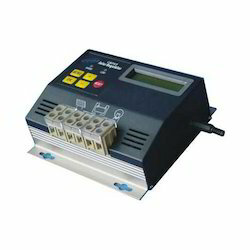 Leading Manufacturer of digital battery charger, rema connector 350 amps, generator battery charger, multipurpose battery charger, solar controller battery charger and smps battery charger from Chennai. 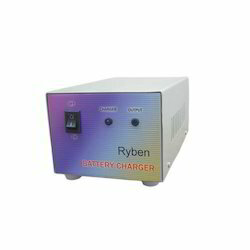 Considered as an enviable manufacturer, supplier, trader and wholesaler, we are engaged in offering Battery Charger. These chargers are manufactured with the perfection and are demanded to be installed in relay panel, switch gears and electrical panel. Safe in usage, these chargers are available in different models to suit the demands of customers. Rema make Battery connectors are used to interconnect charger and batteries for battery charging purpose. These products include traction battery charger plug connectors, main contacts accessories. 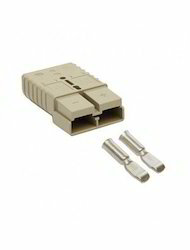 The connector contacts can be supplied together with suitable length cables or can be purchased individually. 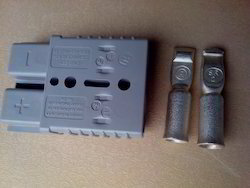 It include male and female connector. Catering to the demands of customers as a manufacturer, supplier, trader and wholesaler, we are engaged in offering a wide range of Generator Battery Charger. Can be used as a generator, car and lead acid battery, these products are extensively appreciated by our customers. After production, these chargers are checked thoroughly on various parameters by our team of quality controllers to ensure flawlessness. Owing to our state-of-the-art infrastructure facility, we have been able to manufacture, supply, trade and wholesale Multipurpose Battery Charger. Our offered chargers are available in different specifications to suit the requirements of esteemed customers. As our offered chargers are compatible with all kind of lead acid batteries, these are demanded in the market. Engaged as a manufacturer, supplier, trader and wholesaler, we are providing Solar Controller Battery Charger. Used to preserve the battery, these controllers are manufactured with sophistication at our infrastructure facility, which is laced with modern machinery and cutting-edge technology. Moreover, these controllers are used within a standalone system as a central point to connect battery to the solar module. Understanding the demands of customers as a manufacturer, supplier, trader and wholesaler, we are engaged in offering SMPS Battery Charger. These chargers work using wide range of input voltage and are able to offer ripple free DC output, owing to which these are demanded across the nationwide market. Also, these chargers are checked thoroughly on various parameters to ensure flawlessness. Successfully catering to the demands of customers as a manufacturer, supplier, trader and wholesaler, we are engaged in offering Automatic Battery Chargers. The chargers offered by us are manufactured using optimum-grade raw materials and components that are obtained from the reliable vendors of the industry. Prior to dispatch, these chargers are checked on various parameters to ensure flawlessness. 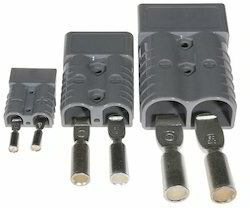 Rema make Battery connectors are used to interconnect charger and batteries for battery charging purpose. These products include traction battery charger plug connectors, main contacts & accessories. 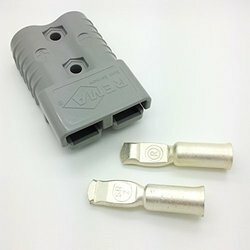 The connector & contacts can be supplied together with suitable length cables or can be purchased individually. 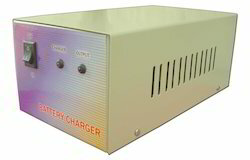 We offer superior high standard Battery Recharger manufactured with superior grade raw materials and technology. 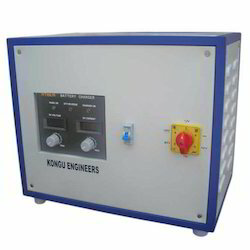 Widely used these chargers offers overload protection along with short circuit protection. We customize these batteries with both manual and automatic options and different models which makes these batteries user friendly. 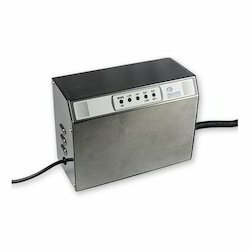 We offer these battery chargers with switch mode control based design and can automatically charge batteries. 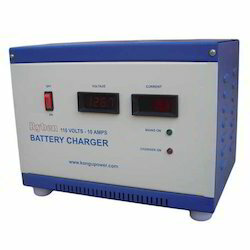 These durable and highly functional battery chargers are offered at competitive prices. We are proud to offer these chargers with the following technical specifications which we keep changing with the technical advancements in the markets. Looking for Battery Charger ?